1. What if there was a surgery for a broken heart? 2. What if a doctor could remove bleeding sadness? 3. How about treatments to rid feelings of terror? 4. What if there was a cure for burned emotions? 5. How would it be to have skin grafts for scalding betrayal? Well, our hero, Dr. Thomas Romo from his Little Baby Face Foundation just tried to empower Renata, 15 years old, with the above “surgeries” by giving her a nose job and a chin implant for her deviated septum and lopsided face. 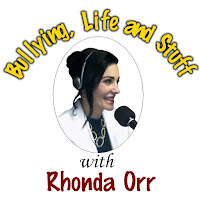 Before surgery, Renata stated on a Today interview, “I’m afraid I’ll never have any friends” and then the conversation revealed that she was so terrified of the horrific bullying from being “the girl with a big nose” that she was home-schooled for years. She wasn’t being home-schooled for all the positive results that may occur. She chose it because she was afraid, sad, heart-broken, terrorized, emotionally scarred, and she felt deeply betrayed. She chose it because she didn’t want to feel the pain of daily taunts from cowardly and brutal bullies. BTW: the definition of terror means-overwhelming feelings of fear and anxiety. Generally speaking; our society judges each other on looks and it is a major reason for child and youth bullying. Unfortunately, we can’t see the ugly hearts of bullies. However, we may try our best to feel our best. Don’t misconstrue these comments. Obsession (which is worthy of a whole different advise column) and unreasonable expenses are not what we advocate. Why should we try to look our best? Answer: When we feel well enough about ourselves (inside and out), we forget about ourselves … as in … it doesn’t take up space in our head and hearts … we aren’t distracted by those esteem zapping thoughts AND we DO the things that matter the most. God gave us doctors, dentists, therapists etc. for a reason. To help us (after we have done all we can to help our own selves)! Renata shouldn’t now be bullied because she sought after help and received a miracle from a caring doctor. It’s no different than the miracle of braces, contacts, acne treatments etc. Should Adam Levine be bullied because he got help for his acne? Maybe we should all do what we can to look our best, forget ourselves and do what matters most. Caring about others of course!